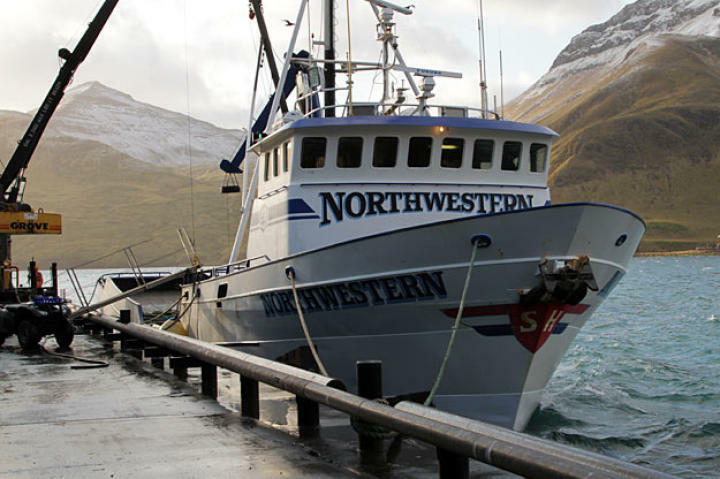 The Northwestern returns for the new season with a full-strength, seasoned crew. 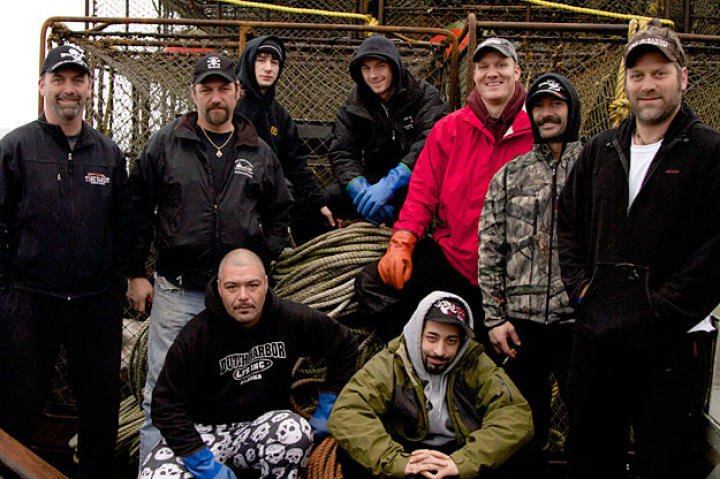 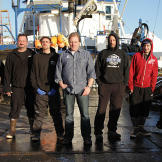 From left to right: Norm Hansen, Nick Mavar, Jr., Jake Anderson, Captain Sig Hansen, Deck Boss Edgar Hansen, Jake Harris and Matt Bradley. 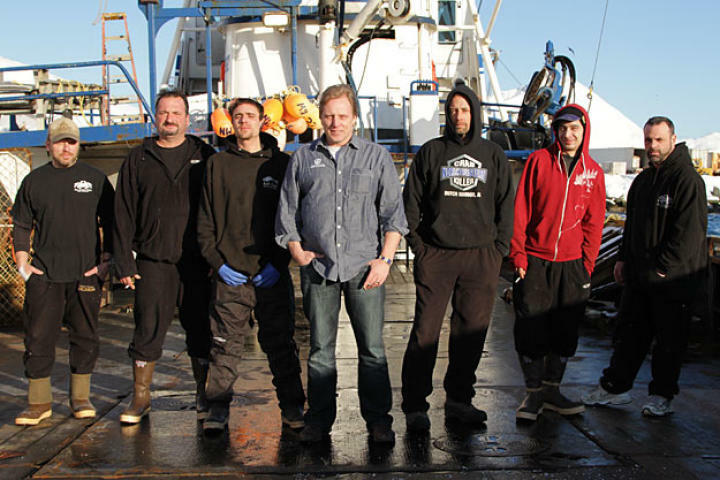 After an unsuccessful attempt to make a living off the boat, Edgar Hansen returns to his critical position as his brother Sig's right-hand man and heir apparent to the captain's chair. 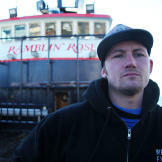 Jake Harris joins the crew after he and his brother Josh realize that the Cornelia Marie will not sail this season. 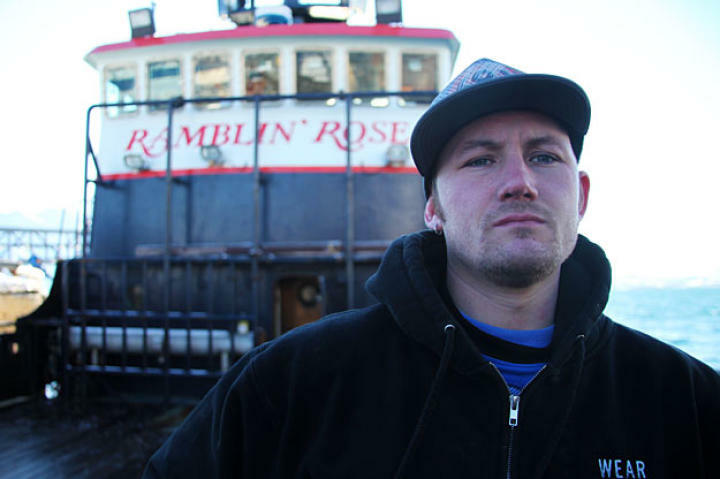 With the support of the other deckhands, Matt Bradley courageously continues his "stay clean" commitment to keep his place on deck with his fishing brothers. 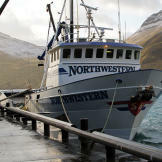 7 The Northwestern's Norm Hansen shows off a prize Red King Crab.